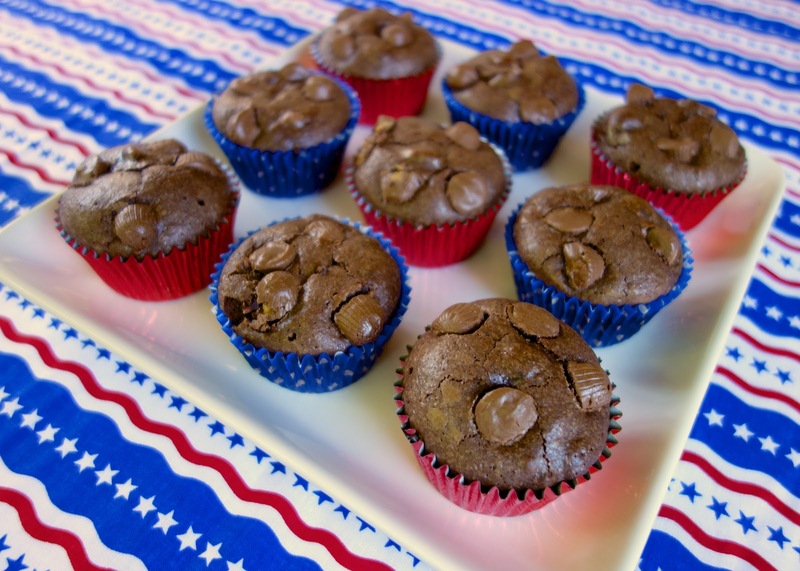 These brownie muffins combine two of my favorite foods - peanut butter and brownies. Both are my kryptonite. These brownies are very simple to make and taste delicious. They are moist, fudgy, and delectable! I can't get enough of them! I like to put one in a bowl and top it with vanilla ice cream. Holy YUM! 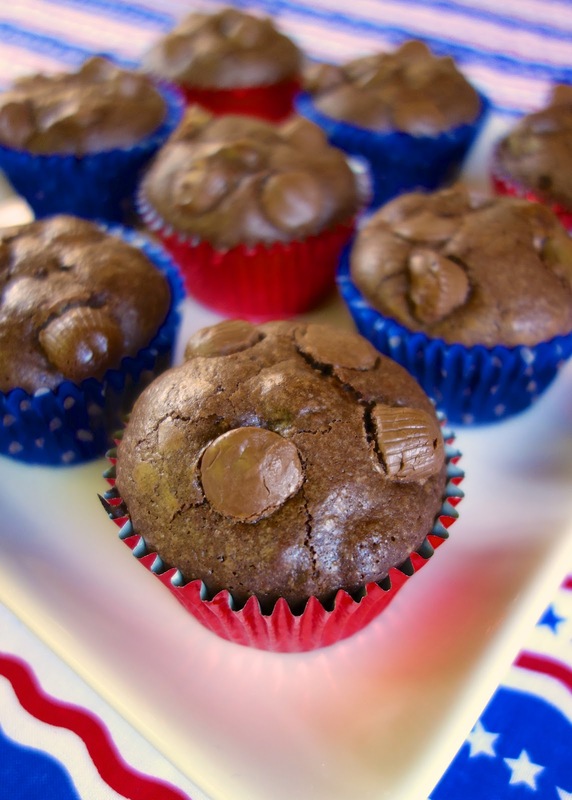 If you don't have peanut butter cups, you can substitute any flavor baking chips. I've made these with semisweet chocolate chips, peanut butter chips, butterscotch chips and even white chocolate chips. These would be great with some mint or peppermint chips at Christmas time. The brownies will be making an appearance at our Labor Day feast. I will probably take some to the football game this weekend too! YAY for college football!! Preheat oven to 350. Line 12 muffin cups with foil liners. Melt semisweet chips and butter together in a large bowl in a microwave at 50% power for 1 minute; stir. Microwave another minute and stir again. Repeat until mixture is smooth; let cool slightly. Whisk eggs, sugar, vanilla and salt into the melted chocolate. Fold in flour just until incorporated. Add 3/4 of the peanut butter cups. Fill prepared foil cups and top each with remaining peanut butter cups. Bake 35-40 minutes. Steph, these look amazing! All I have to get is the peanut butter cups! Yum!!! would be perfect to take to work with my lunch! These. Were. Amazing. Really awesome :) I got 16 muffins out of the recipe, and I used Trader Joe's awesome little mini pb cups. Wow. These will become a regular treat at our house! Thanks!